Users of Northern trains have been warned to expect delays and cancellations this morning following a major timetabling change affecting several services across the country. Every train run by the UK's busiest franchise, Govia Thameslink Railway (GTR) - which consists of Southern, Thameslink, Great Northern and Gatwick Express - was rescheduled from Sunday. The firm had warned that services could be disrupted as the new timetable was introduced, leaving some passengers frustrated on the first day. 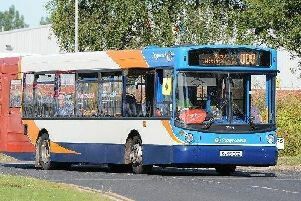 Severe disruption has been reported on routes this morning running out of Preston, Blackpool and across the North West. One in seven of Northern's services were cancelled across its entire network, a figure which the Greater Manchester Mayor Andy Burnam said was "appalling." The Northern website says the issues are due to a shortage of train drivers. A spokesperson for Transport for the North said:“Transport for the North is extremely disappointed and concerned with the inadequate performance of Northern. We have formally raised these concerns with Northern making it clear that we want more to be done to rectify the performance issues and to mitigate against impacts on passengers and for action to be taken immediately. “This is a matter of significant concern to us and we are aware that across the Northern franchise, parts of Greater Manchester, Lancashire and Cumbria have been badly affected by these performance issues and we recognise the detrimental effect of unreliable train services on both passengers and the economy. Train users are advised to check before they travel.